Mother's Day is fast approaching! Give her something that she'll love without leaving a huge carbon foot print (measures direct emissions of gases that cause climate change into the atmosphere). That's just a fancy way of saying - give her something that's eco-friendly. We want to make mom feel special while still keeping our planet in tact and minimizing the pollution. Pact - Pact offers organic fair trade cotton clothing for men, women and children plus organic bedding. Their clothes are SO soft! Their organic cotton also helps the environment because choosing organic cotton conserves water. Buy Pact here. Thred Up - This is my favorite online consignment store that offers women's and kids brand name clothing, shoes, and handbags at a fraction of the cost! The items are either gently used (but still in excellent condition) or brand new with tags still on. I've found many cute items on this website. They will also send you a big bag that you can pack the clothes/shoes/handbags you don't want anymore into and ship to them for store credit. 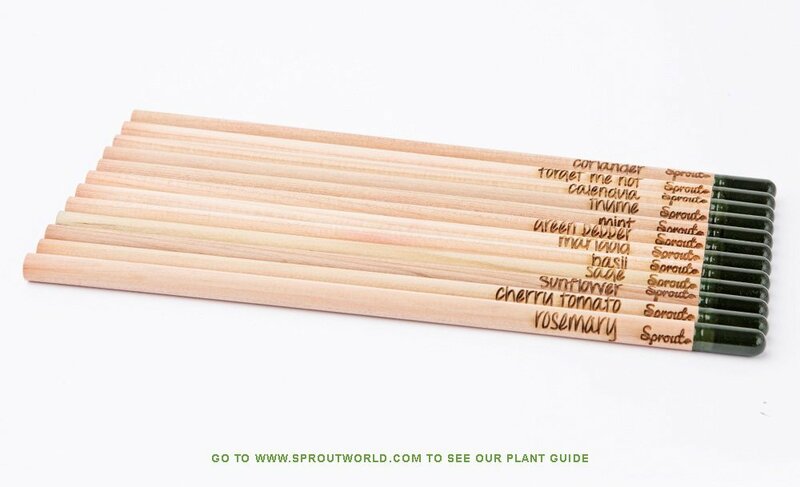 Sprout Pencil: This 8 pack of pencils can be planted after Mom's done writing with them! The Herb Pack contains 8 sprout Varieties: basil, sage, thyme, sunflower, lavender, forget me not, cherry tomato and mint. They're sustainably harvested in the USA. An organic indoor herb garden: Plants are known to purify air. (Read more about how to purify the air in your house here). Give Mom the gift of clean air...PLUS some fresh herbs that she can cook with in cute jars! JOCO reuseable glass coffee cup in eco-friendly packaging: Did you know that an estimated 23 billion paper coffee cups were used by Americans in 2010?! Most of those coffee cups aren't recycleable either! All 23 BILLION end up in the landfill!!! Get this reuseable coffee cup and lets decrease what goes into landfills. They're made from non-porous borosilicate glass. Dishwasher and microwave safe. Anti splash ergonomic silicone lid and thermal silicone sleeve. Food grade safe, BPA, lead and cadmium free plus compliant with FDA, REACH and LFGB regulations. They come in a variety of colors and in 8oz, 12oz, and 16oz. Help mom avoid the plastic coffee machines while also making the best cup of coffee with a glass French Press. These are inexpensive and make the tastiest coffee I’ve ever made at home. Don’t forget the organic ground coffee! Conventional coffee beans are heavily sprayed with pesticides and herbicides. We definitely don’t want that in our morning cup o’ joe. I like this brand because it’s also fair trade. Nails: Zoya products are the way to go! They're one of the first companies to remove toxic ingredients such as toluene, camphor, formaldehyde, formaldehyde resin and DBP (dibutyl phthalate) from their products. Herbal Mari: This is a whole line of products including face wash, tinted moisturizer with SPF, hair gel, shampoo, hair spray, and more! These products are: Cruelty Free, Gluten free, Corn free, Soy free, NO GMO, Vegan and Vegetarian; 100% Chemical Free, SLS and Detergent Free, Synthetic Preservative Free: FREE of PEG-150 (synthetic Binder) FREE of Methylparaben/ Propylparaben (Human endocrine disruptor, allergen): FREE OF Cocamidopropyl Hydroxysultaine (Synthetic skin conditioning agent) or any Ceramides, FREE of Sodium Lauroyl Sarcosinate (Synthetic foaming agent-Surfactant). Wool Dryer Balls: Stop using those dryer sheets that contain synthetic chemicals. Wool Dryer Balls are made from organic wool and can be used for about 1000 loads of laundry! These would remove 1000 dryer sheets in landfills, plus they're all natural. For an all natural fragrance, use essential oils like Lavender or Wild Orange. VIP membership to Grove Collaborative - Grove Collaborative is a certified B Corp which means that they meet the world’s most rigorous standard for businesses supporting social, environmental and community wellbeing. They have mostly eco-friendly, non-toxic, organic, chemical free items for cleaning, health & beauty, baby, oral care, and skin & hair. So far the only product they offer that I advise my clients avoid is Mrs. Meyer’s products. They contain fragrance and other harmful toxins. VIP membership gets free shipping and free items! Get mom a 30 day Free trial to Audible. She can listen to all her favorite books while she’s driving, cleaning the house or lounging. Buy her a 1, 3, 6 or 12 month subscription here. You can a get her a Kindle Unlimited Membership from Amazon. She’ll have access to over 1 million ebooks, thousands of audio books that she’ll have access to on any device. This is available in 6, 12 or 24 months memberships here. Eco-friendly yoga mat: This yoga mat is extra thick, non-slip, withstands a lot of wear and tear, and is non-toxic! Soma water bottle: This water bottle is made from shatterproof borosilicate glass and it has a bamboo lid. Soma donates to charity water with every water bottle sold. Your mom will love receiving a nice gift, but she'll really love that it's also good for the planet! I'm tired of being tired! Please send me the free guide to have more energy! If you’re ready to beat brain fog, have more energy and fewer sick days - let’s chat! Click here. Hey! 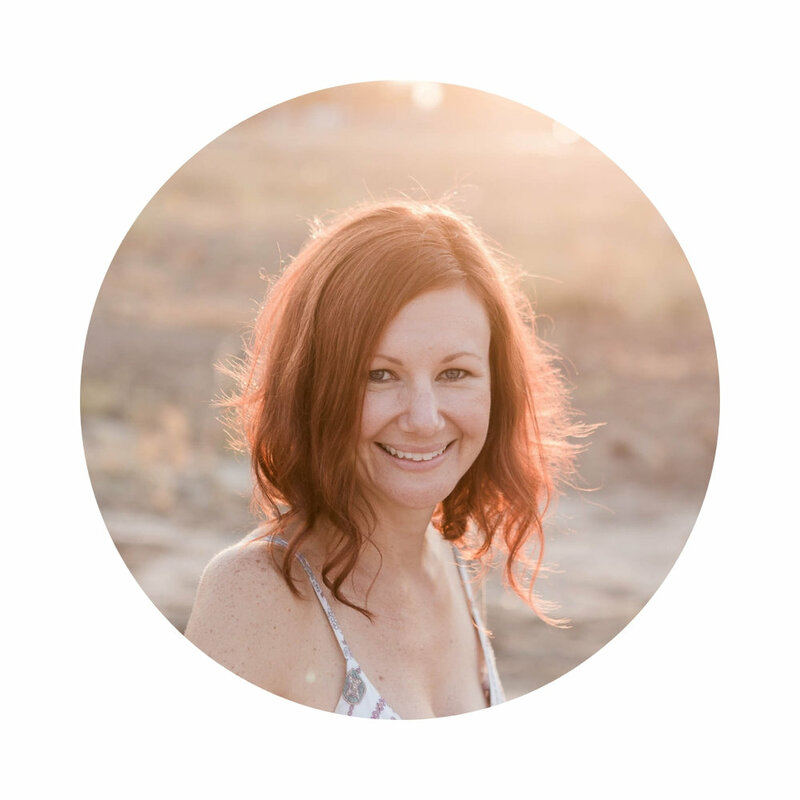 I’m Bri - the wife, mom, RN and Certified Health Coach who is ready to help you be the happy mom your dream of! Click here to learn more about me.